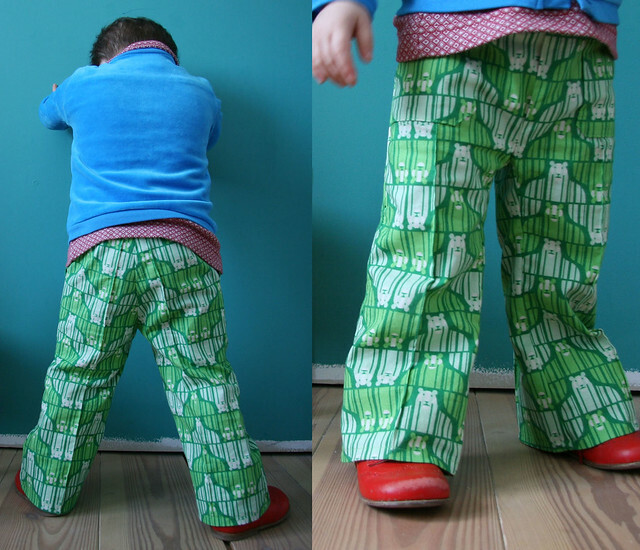 I love making clothes for Elliot that feature bold prints. These items have a track record of being the most-loved and most-worn items in his wardrobe. The fox tee I posted yesterday is one example, and the radio pants I made for Elliot last fall are another. 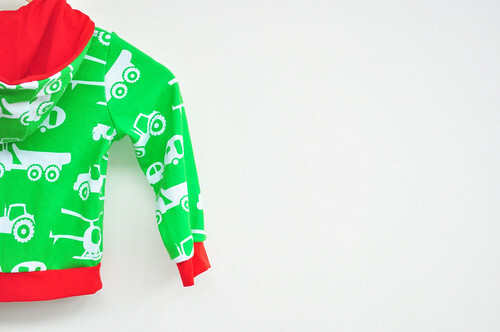 Maybe you even remember Elliot’s green medal pants? Those things were awesome. Bold prints make clothing more fun and interesting, and they add color, as well. Here are some fun pictures from the Celebrate the Boy Flickr group that I really love to get you thinking about how to use prints in your boy’s wardrobe! Lots more photos of this adorable outfit here. 1. t-shirtjes voor Matisse. 2. T(ea) for two. 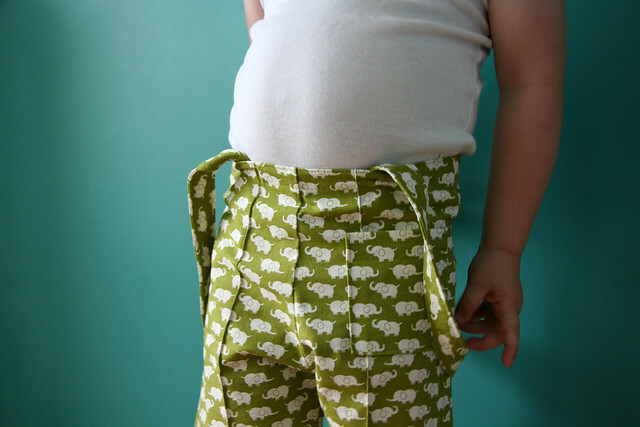 Mamasha blogged about these elephant overalls here. 1. olifanten set. 2. draken. Top Left: feesthemd. Right: star T..
Bottom Left: bloemenhemd. Right: nieuw hemdje. Motorized vehicles are always a favorite among boys. They’re unstoppable in these prints! Left: black cars hoodie. Right: green pants. Top Left: blue cars hoodie. Top Right: au travail. Bottom Left: autobroek. Bottom Right: helicopters. Oon!! Your garments are amazing!! Thanks for sharing it with us in the pool and on your blog. Thanks for this…I love rules to follow! I am IN LOVE with some of those knit fabrics. Where, or where, are they??? I know. I get so jealous of the European women who have such awesome prints to choose from!! That’s funny. Knit fabrics are indeed very popular around here. Mostly Scandivian/German manufacturers. But for regular fabric, I buy most of my fabrics in the US. OK, I’m totally ready to move to Belgium if it means I’ll have access to these amazing fabrics. Now to track down the white with the little red RV trailers!